With 72 members and one church numerically, Cyprus is one of the smallest fields in the Trans-European Division, however exciting things are happening. For the last six months Ehren and Eren have been working as volunteers at the Meeting Point in Limassol, the second largest town in Cyprus. 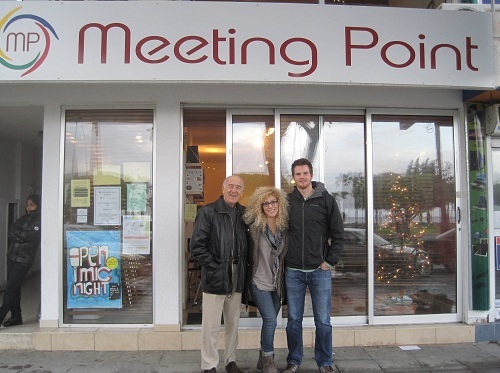 Located on the sea front in a mainly immigrant area, the Meeting Point provides a place for people in the community to meet and get to know each other. The Meeting Point community is growing through exercise classes, English classes, book clubs and kids activities. Open Mic evenings where friends come and share their talents are popular, as are the monthly games evenings. Regular visitors to Meeting Point frequently express appreciation for the ‘safe place’ that is provided by the centre, which enables friendship to flourish among people from different ethnic and religious backgrounds. After several years of Limassol believers functioning as a company there are now plans to become a church. Creating safe places is a recurring theme for the church in Cyprus. 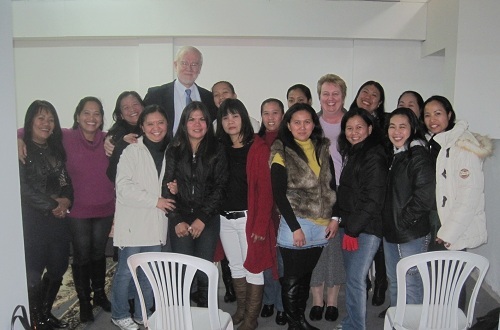 In the capital Lefkosia, there are over 15 000 maids, mainly from the Philippines. They live in with their families and have one day off per week. A new project provides a meeting place for some of these women in Lefkosia. Over twenty women meet on Sundays in a flat for worship, fellowship and a time to relax with friends. Some have asked for Bible Studies and the potential for growth is enormous.